We're Not Your Average Brokerage! Today's Realtors shop at Apple, Starbucks, Amazon, and Zappos for the experience, the product, and the customer service. Purchases used to be made for the product only, but consumers now want the experience and emotion along with a great product. At Mirambell Realty, we think our Agents should feel that emotion while working at their Brokerage. If you don't feel like your company is Hip and Modern and delivering you happiness with your career, consider a brokerage that models these companies and their customer experiences. 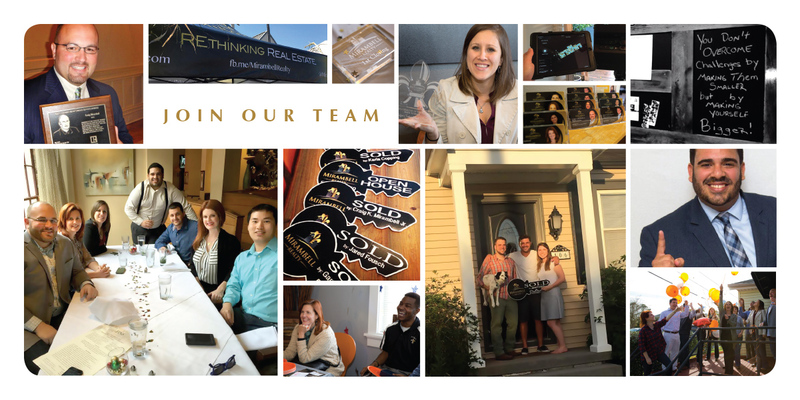 Interested in Working at Mirambell Realty?